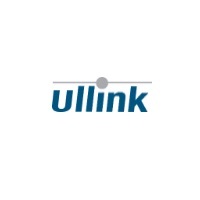 Trading and connectivity solutions provider ULLINK has lost its CEO, Laurent Useldinger, who recently announced he is parting ways with the Paris-based company, according to a WatersTechnology statement. Last year, TMX Group Inc. partnered with solutions provider ULLINK in a bid to target pre-trade risk management – ULLINK’s trading technology and software services cater to both buy- and sell-side market participants. Mr. Useldinger has decided to relinquish his role as CEO, opting to pursue new entrepreneurial opportunities. In the absence of its CEO, ULLINK has appointed Bertrand Sciard as the group’s interim chief executive. The departure marks the end of a 14-year tenure at ULLINK for Mr. Useldinger.